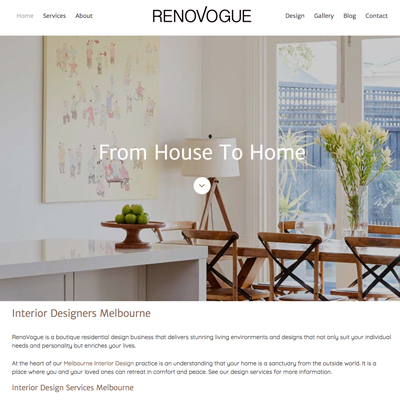 RenoVogue describe themselves as a boutique residential design business. In short though, they are interior designers. RenoVogue are a business with great flair! Their design skills cover interior and exterior deisgn, as well as full project management for renovations. The challenge for us is to create visibility for their brand. Sadly they have had little to no online visibility to date. Competitors range from other boutique interior designers to large businesses. Our first priority was to build a website that showed the flair this business brings to their clients. 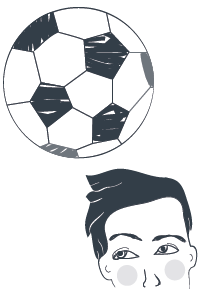 A site that highlights the services they offer, and makes it easy for potential customers to find them. When you're coming form a long back in the field a long term vision and approach is required. We are mapping out that approach and moving forward. Some early successes have the future looking rosy!